A Connecticut bus tour will be stopping at these signs. The newest bus tour in Connecticut is the total opposite of lifestyles of the rich and famous. The “Home Foreclosure Bus Tour” takes potential homebuyers through property the down-on-their-luck lost and left behind. After all, an empty house is an available house, and you could benefit if you’re looking to scoop up some property. Frank Hoinsky, a Connecticut real estate agent, plans to charter a bus Saturday and take people looking for homes and realty agents to foreclosed properties around the lower Naugatuck Valley, the New Haven Register reports. Connecticut has a lower foreclosure rate than several states, but we are not immune to the problem. 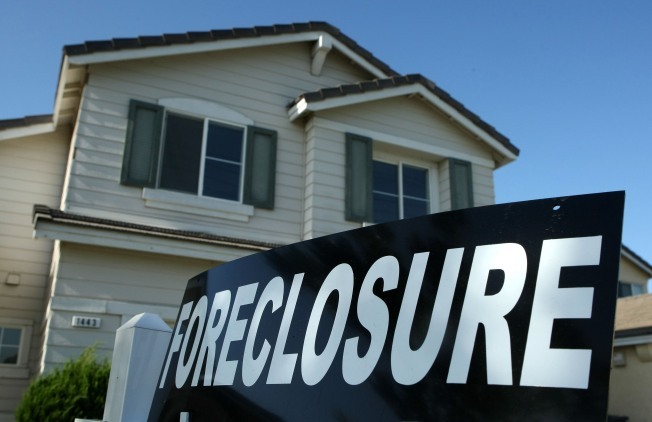 Foreclosure.com lists 1,289 foreclosures as of Wednesday, and 9,651 preforeclosures. Bridgeport, Waterbury, New Haven, Hartford and Meriden are the hardest hit. Foreclosure bus tours are happening all over the country. In Florida, there are “Hollywood Blight Tours.” In Chattanooga, Tenn., there are “Deals on Wheels” tours. Atlanta and Las Vegas also have foreclosure bus tours. If you have two hours to spare, you’ll get an inside look at eight properties. Hoinsky said he plans to expand the tour outside the Valley in the coming weeks to include the Shoreline and other surrounding towns.